Watching award shows will never be the same with this new interactive feature coming to Twitch. 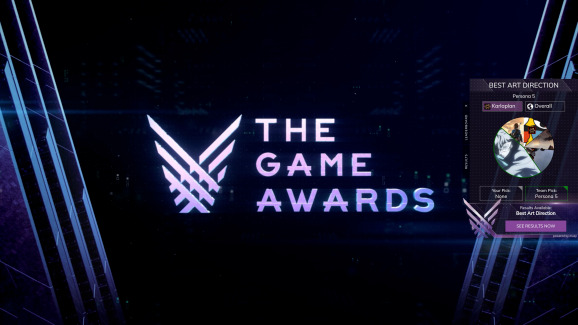 The Game Awards, not to be confused with the illustrious Shacknews Awards, is welcoming an interactive element via live stream. The 2017 nominees were announced a few days ago, Early Access nominations included, and Twitch users will be able to predict winners and compete with the communities of other streamers for the most correct predictions via a new interactive voting feature. The new voting Extension was created by Muxy and is called Community Predictions. It supplies streamers with an overlay that allows viewers to vote and see who has the majority vote from that particular community. The Game Awards cracked eight million viewers in 2016 and, with the growth that live streaming platforms have seen, it's positioned to do even better this time around. Adding this interactive element expands on the potential of the show and makes it a bit more interesting for viewers as well. The Community Predictions Extension will go live with the broadcast of The Game Awards at 5:30 pm PT on December 7.